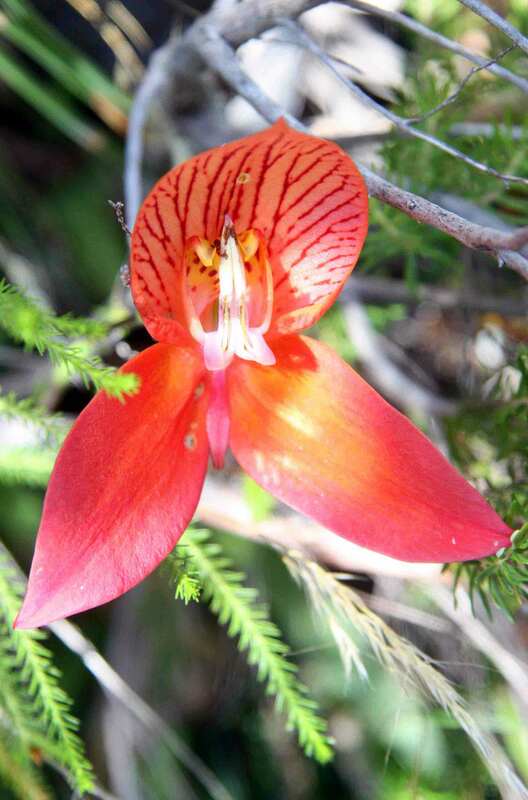 It is that wonderful time again, when the intense red orchid Disa uniflora (Red Disa or Pride of Table Mountain) come into bloom. 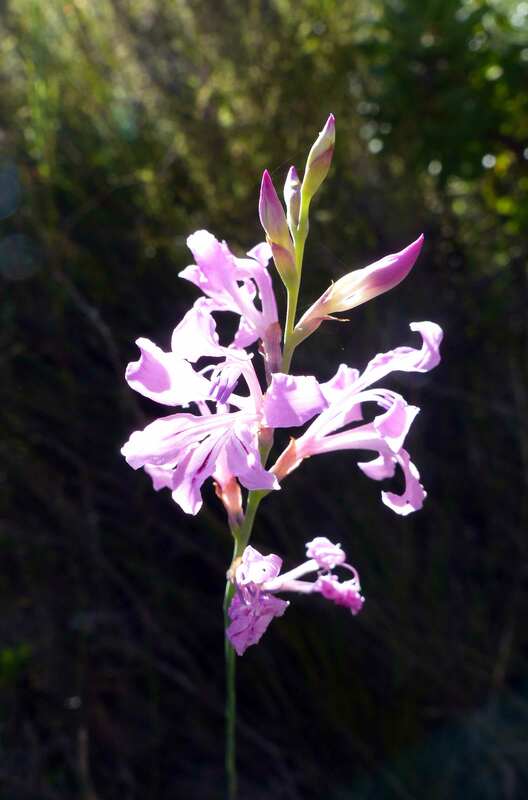 There is no South African flower that shouts ‘summer’ to me more than this. 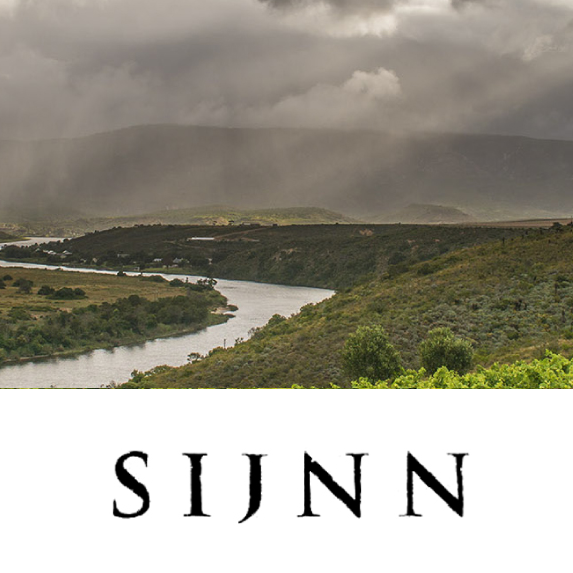 They grow on stream banks, next to waterfalls and on wet shady precipitous cliffs from the Cape Peninsula eastwards to Bredasdorp in the Overberg and northwards to the Cederberg. The genus is named after Queen Disa, a character from Swedish mythology who according to legend presented herself to the King of Sveas wearing only a fishing net. Top: The beautiful blooms of the Red Disa. Above: Tritoniopsis lata flowering at Harold Porter NBG. However, the Red Disa does not reveal itself with ease. It a privilege earnt to see these flowers which does not come without effort, often involving a long hot sweaty climb at the height of summer into the mountains. One of the most accessible places to view Red Disas is Harold Porter Botanic Gardens. 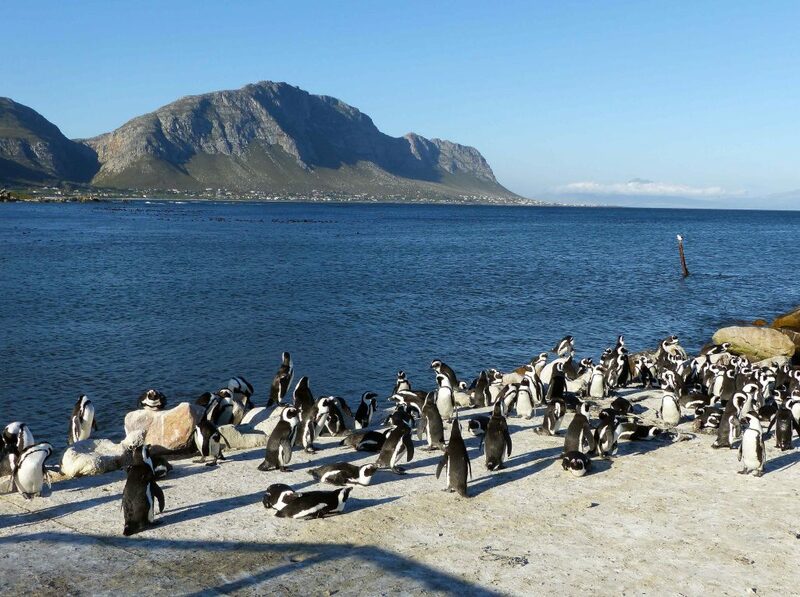 It is one of South Africa’s ten national botanic gardens and is found in Betty’s Bay in the Overberg, no more than a 1.5 hour scenic drive from Cape Town. 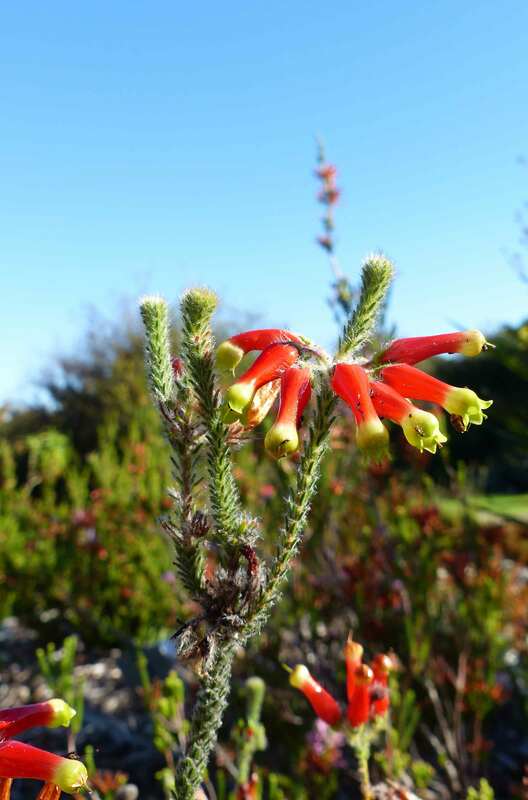 The gardens offer everything from gently sloping lawns adjacent to flowerbeds packed with Fynbos floral gems from both the local area to further beyond in the Fynbos Biome. 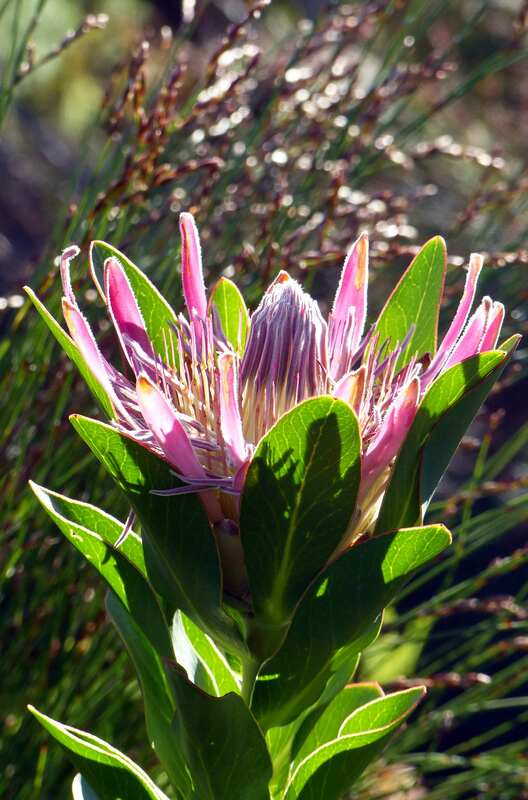 Top and Above: Erica massonii and Protea compacta flowering at Harold Porter Botanic Gardens, Betty’s Bay, Overberg. One can follow stepping stones through wetlands while learning about the unique biodiversity of these habitats. 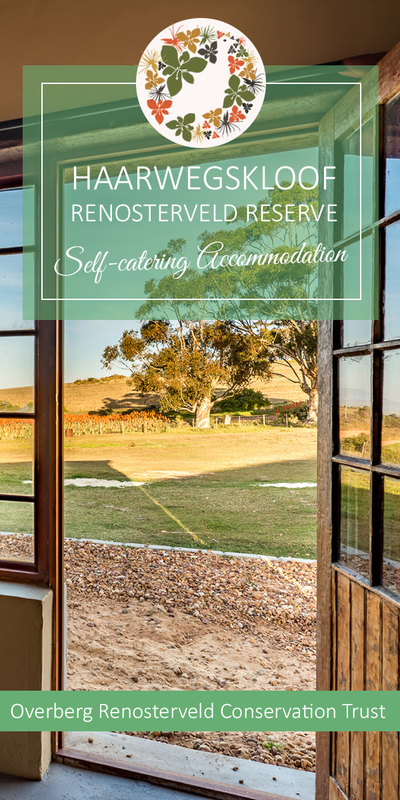 Visitors to the garden are rewarded with stupendous views into the mountains of the Kogelberg Biosphere Reserve beyond. 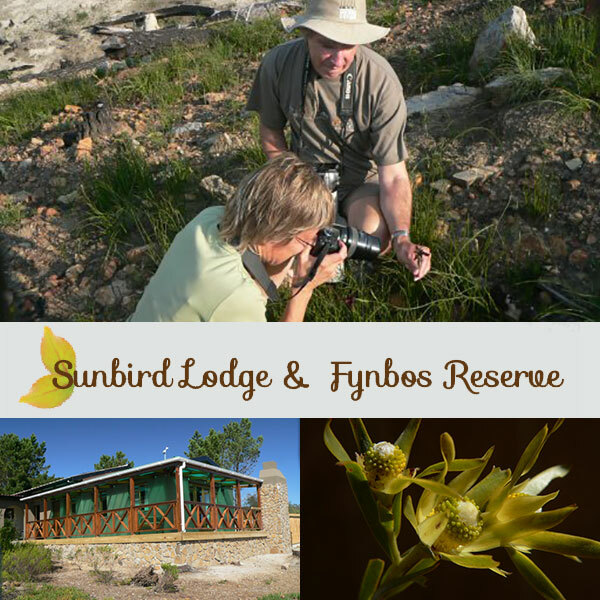 Spectacular iridescent sunbirds and long tailed sugarbirds are often seen visiting the prolific blooms of Erica, Proteas and other bird pollinated fynbos plants. This is a garden that is at home in the surrounding mountain landscape. Paths at higher elevations offer constantly changing sea views. 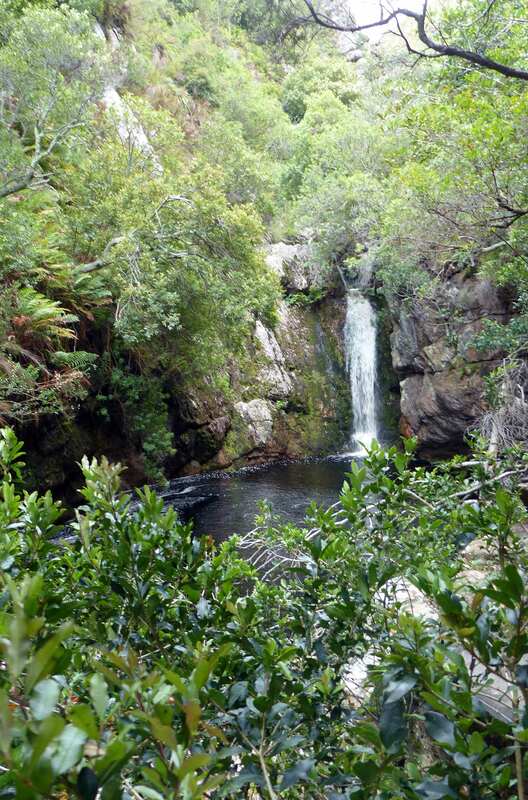 More adventurous visitors who arrive at the gardens early can obtain a key and permit at the entrance to hike the forested Leopard’s Kloof above the gardens. Don’t be put off by the name: The Cape leopards that this kloof is named after are shy, largely nocturnal and much smaller than their upcountry relatives. So likely encounters with spotted beasties are not to be feared. The rocky hiking trail winds its way up the kloof through afrotemperate forest, zigzagging across the stream with its brown ‘cola water’ (stained this colour by plant tannins). At the end the trail makes its way up several wooden ladders, eventually reaching a deep pool at the base of a waterfall that plunges down through the rocks from far above on the mountain. 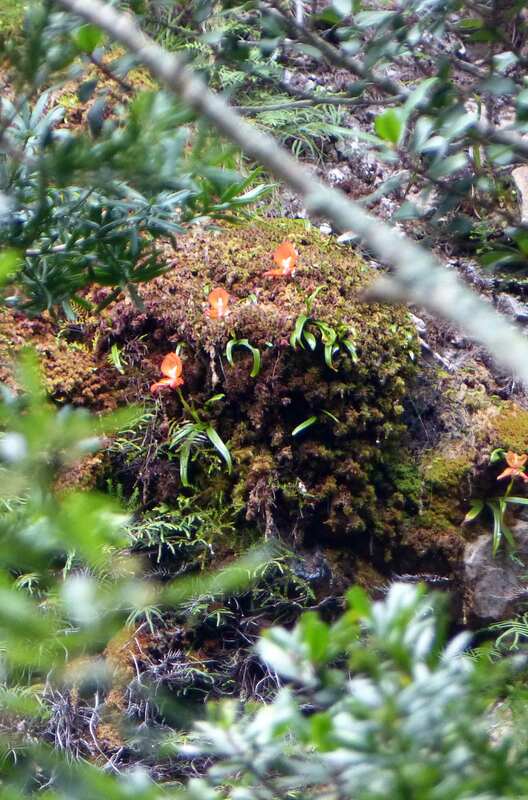 Top: Disa uniflora flowering high on the cliffs above in Disa Gorge at Harold Porter Botanic Gardens. 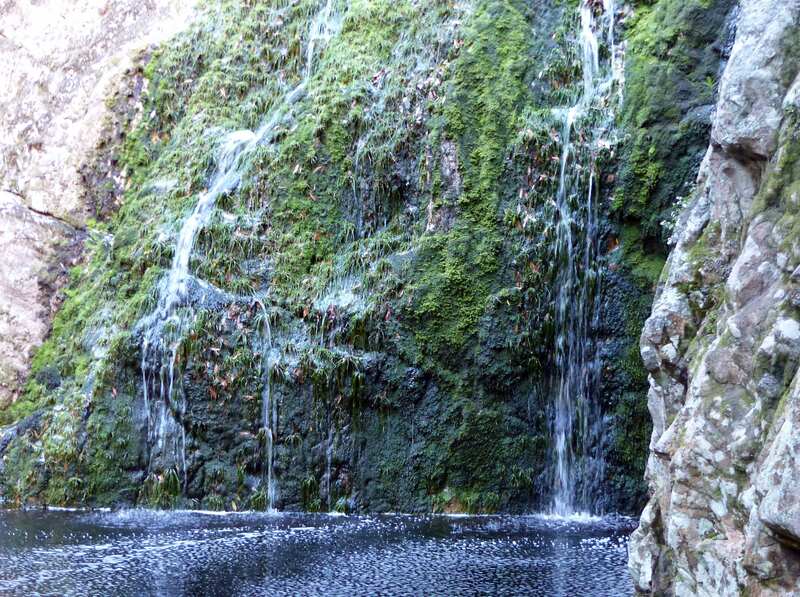 Above: The waterfall at the top of Disa Gorge, Harold Porter Botanic Gardens. But what about the Disas? 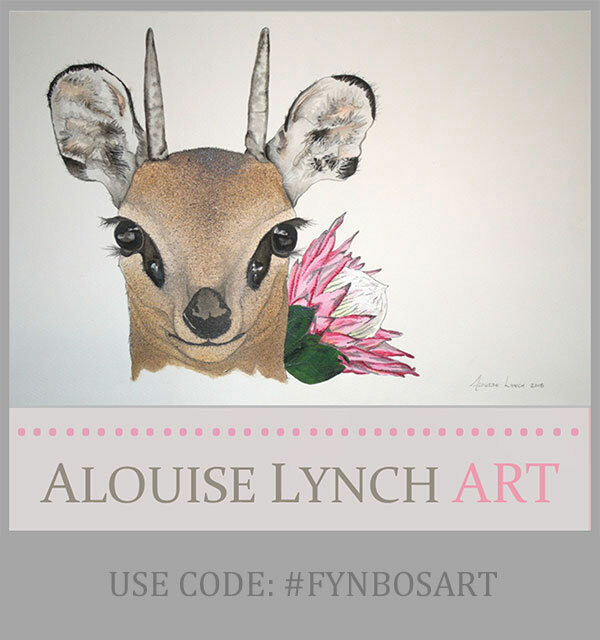 In December and January they can be seen in both kloofs above the garden. But the most easily accessible are those in Disa Gorge which can be reached by a relatively short and level walk through beautiful forest. I was there on a relatively quiet and cloudy day, running into several groups of friendly locals all of whom only too keen to advise on where the best spots were to look. And there they were, just visible through the trees, flowering en masse, high on the cliffs near the waterfall. All the people I spoke to made this journey to Harold Porter every year to come and see the Disas. It truly is a worthwhile treat.